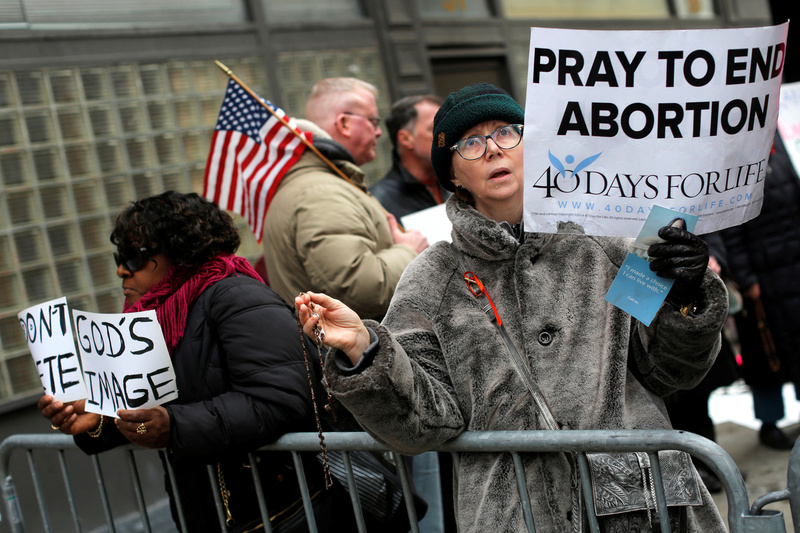 WASHINGTON (CNS) -- The head of the Susan B. Anthony List said the pro-life organization "was deeply saddened to learn that Jane Doe's child has been aborted," referring to an immigrant teen from Central America in federal detention in Brownsville, Texas. The American Civil Liberties Union supported an abortion for the 17-year-old, who is in the country illegally and identified only as Jane Doe. The Trump administration challenged the ACLU and the case ended up in the courts, ultimately making its way to the U.S. Court of Appeals for the District of Columbia Circuit. The full court ruled 6-3 Oct. 24 that the teen should be able to have an abortion, and the next day she had the procedure. Texas Bishop Daniel E. Flores of Brownsville said the diocese "stands ready at any time to assist the mother and her child with practical support and aid. It is our prayer that the mother may find peace and her child may be given a chance to live." Susan B. Anthony List "was deeply saddened to learn that Jane Doe's child has been aborted." "Two vulnerable human lives that will be forever impacted by these legal decisions, one an unaccompanied minor, the other her unborn child," he said in a statement. "Our thoughts are foremost with the young girl," said Marjorie Dannenfelser, president of the Susan B. Anthony List. "(She) has now been saddled with the death of her child before she has even reached her 18th birthday -- a terrible burden for anyone to carry, much less at such a tender age and so far from home," she said in an Oct. 25 statement. "We ask that the pro-life community and all compassionate Americans keep her and her child in their prayers." She blamed the outcome of the case on "the extreme agenda of the abortion lobby." "We unequivocally reject abortion advocates' narrative that justice has been done in this case," Dannenfelser said, adding that the abortion lobby and the ACLU "has claimed two victims and made a cruel mockery of the 'American dream.'" "We will continue to oppose all efforts to impose a so-called constitutional right to abortion and turn the United States into a sanctuary nation for abortion," she added. The ACLU argued that under the 1973 Supreme Court ruling in Roe v. Wade, the immigrant teenager was entitled to have an abortion that she would pay for. [The United States] has exported abortion during various administrations and through the work of Planned Parenthood International and allied NGOs. But now, we may very well become a magnet for immigrants seeking taxpayer funded abortions that do nothing to address the unmet needs that these women face. Now that this woman has undergone an abortion, we hope that the same authorities that paved the way for the surgery will now allow her the support she will need to face the loss that she sought and received. She may feel relief now from whatever desperate situation she faced in her home country, but likely at some point, she will need the help of Project Rachel to mourn and recover from this loss. Feminists for Life president: "We hope that the same authorities that paved the way for the surgery will now allow her the support she will need to face the loss that she sought and received." On Oct. 20, the Texas Catholic bishops issued a joint statement criticizing the ACLU for backing an abortion for a teen immigrant in the country illegally and also praised government officials for their defense of the unborn. There’s nothing to celebrate about a detained migrant being granted access to an abortion. The case went to the U.S. Court of Appeals for the District of Columbia Circuit, where a three-judge panel blocked the teen's abortion Oct. 20, ordering the Department of Health and Human Services to find a sponsor by Oct. 31 to take custody of the teenager, such as an adult relative, and then make a decision on an abortion. On Oct. 24, the full court overruled that decision, saying the teen could have an abortion. Attorneys general from nine states, including Texas, Missouri and Ohio, had backed the federal government in its appeal, stating in a court filing: There is no "constitutional right to abortion on demand." "Federal and Texas state officials are to be commended for defending the life of an innocent unborn child in a recent case involving an unaccompanied pregnant minor in federal immigration custody," the Texas Catholic bishops said in their statement.